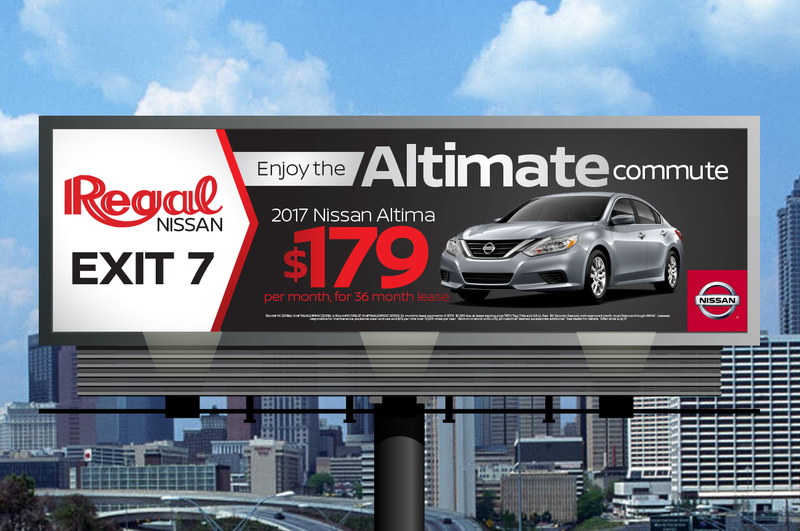 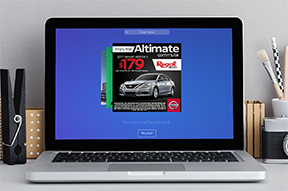 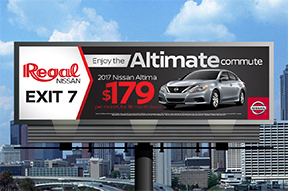 Being one of Atlanta’s top Nissan retailers for 37 years is no small feat! 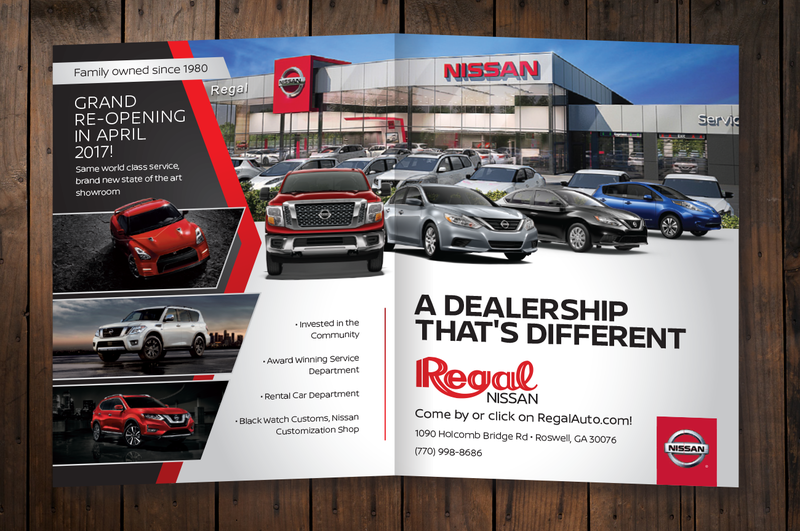 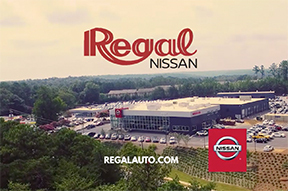 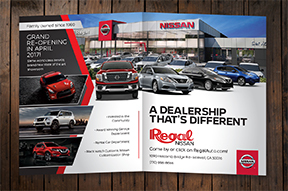 That said, Regal Nissan was in need of a creative and memorable imaging campaign that would showcase their four decades of superior service and announce their brand new, state of the art facility. 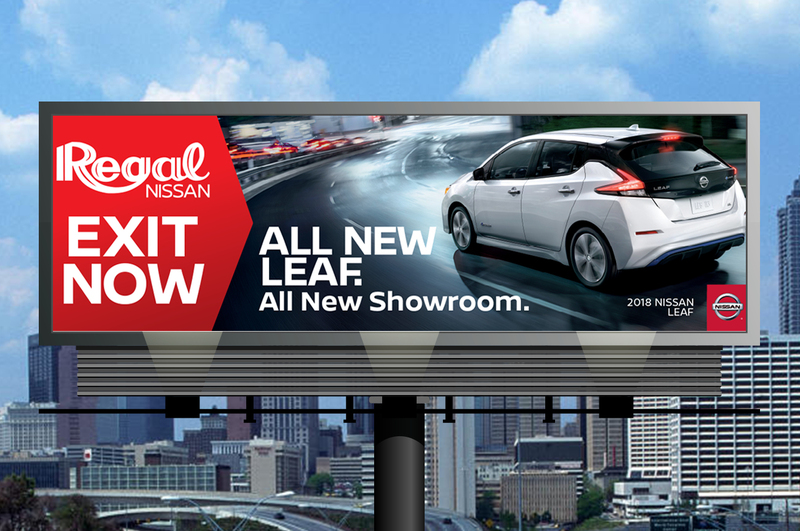 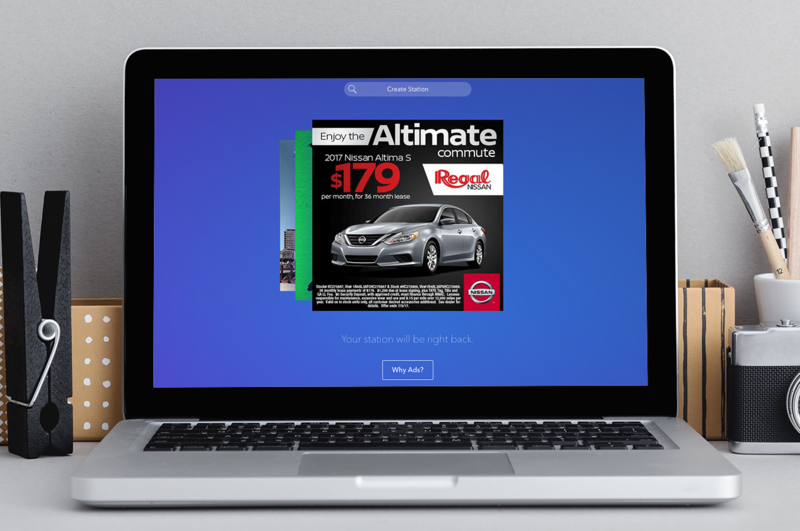 Our creative department served up the “See the Difference” jingle and campaign that reaches Atlanta’s car buyers through Pandora, Traditional Radio, Outdoor, Cinema, Social and digital. 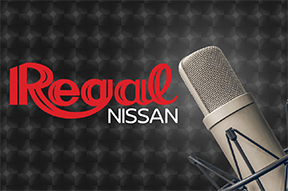 Check it out but don’t blame us if the jingle gets stuck in your head!